REscour, a CRE data visualization and intelligence platform, closed a $1.3 million seed investment round this week. Led by Jason Calacanis’s Launch Fund and AngelList syndicate, and TechSquare Labs, the round also included Mosley Ventures, Tom Cousins’ Nonami Investments, President of ARA Blake Okland, and former CEO of AutoTrader.com Chip Perry. The newly raised money will help expand expand REscour's engineering team, accellerate sales and build brand awareness. REscour assists CRE professionals in the buying and selling process by providing them with organized market insights through data mining and predictive analytics. Clients can also use REscour’s platform to manage their own data and visualize it geospatially in context with the rich data sets that REscour provides out of the box. REscour has developed a proprietary data pipeline that retrieves, classifies and geo-locates millions of data points from structured and unstructured data sources. 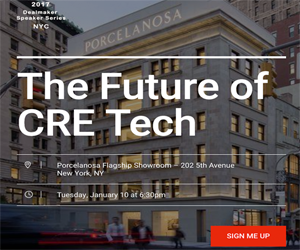 This allows commercial real estate professionals to very quickly identify any data that’s relevant to property value including news, development pipeline, demographics, sales comparables, rent comparables and major employers. This data is further tailored based on each client’s individual investment portfolio and allows REscour to provide very targeted market insights. Clients of REscour include CBRE, Marcus & Millichap, Transwestern, Cushman & Wakefield and more.